One of my favorite parts of summer is the great fresh fruit and veggies that are available. Is there anything better than berry season during the summer? I think not! With that being said, we want to lighten our cocktails up a little, too. 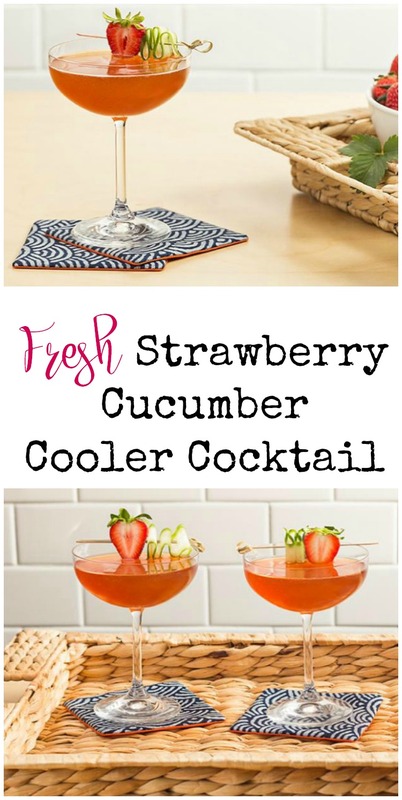 Strawberry just goes so well with summer, and this Strawberry Cucumber Cooler is just the thing for Spring and Summer. We are still in Spring after all…technically. This cocktail is great for a wedding or a baby shower, too. You’ll need a couple things from the bar for this cocktail. One, you’re going to need a cocktail shaker and a good muddler. Any decently stocked home bar should have these things. You’ll also need a strainer. Again, you should already have this, unless you’re just starting to build your bar. Muddle a few strawberries and two thick round slices of cucumber in the bottom of a cocktail shaker well. Add the vodka, Midori, and cranberry juice to the muddled strawberry and cucumber. Shake with ice. 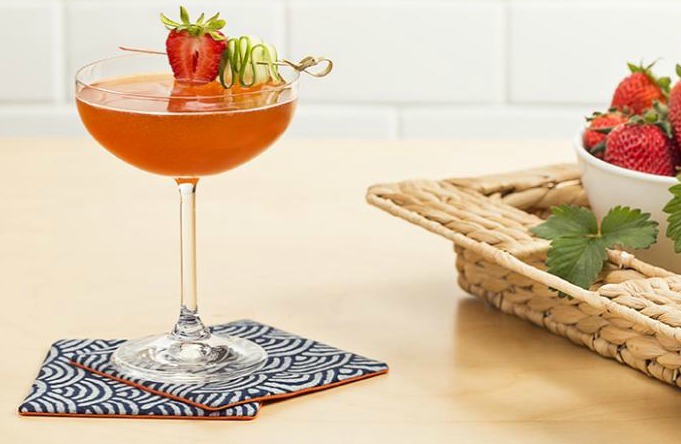 Double strain into a chilled cocktail glass and garnish with a strawberry and cucumber wheel or ribbon. Ready to have a great, refreshing cocktail?